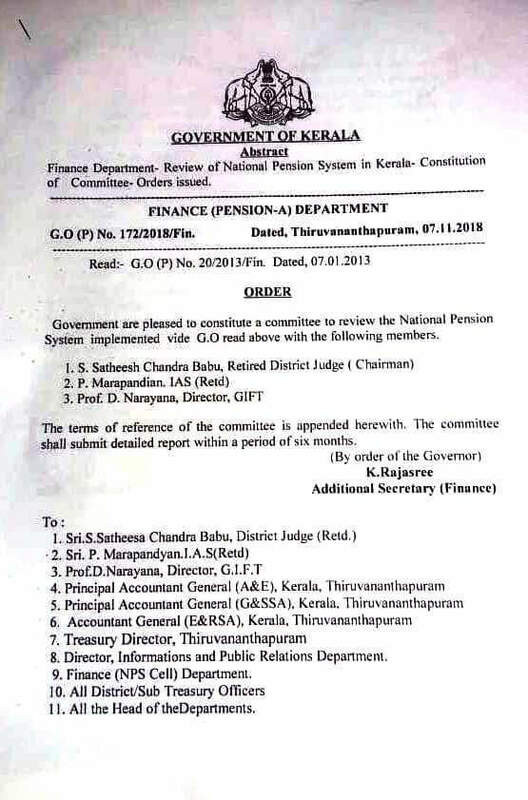 New Pension Scheme to Old Pension Scheme: Review Committee by Kerala Govt. Left front Govt. 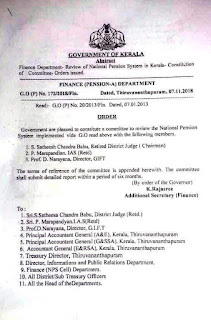 of Kerala constituted a 3 members review committee for submitting recommendations for scrapping Contributory Pension System (NPS) under the chairmanship of S.Satheesh Chandra Babu, Retired District Judge.